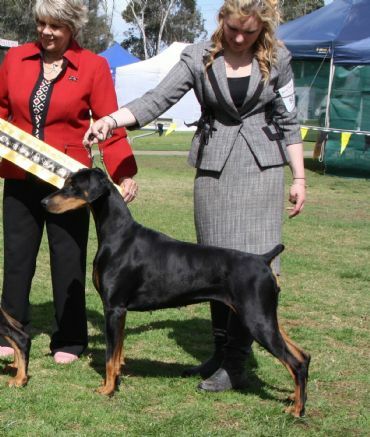 Mirah is maturing into a stunning girl and proving to be a worthy competitor in strong competition, her most recent achievement winning Rup Best in Show at the NSW Dobermann Specialty in 2014. 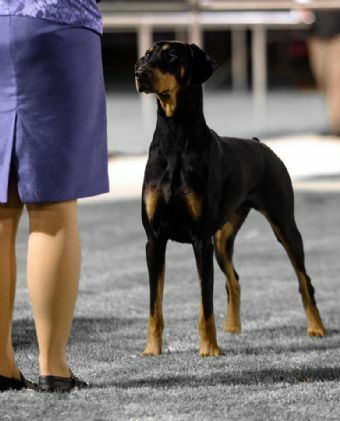 She is a group winner, multi class In Specialty and Show winner and since moving to SA to live with us at the beginning of 2014 Mirah finished her title with a BIG on her second week here. 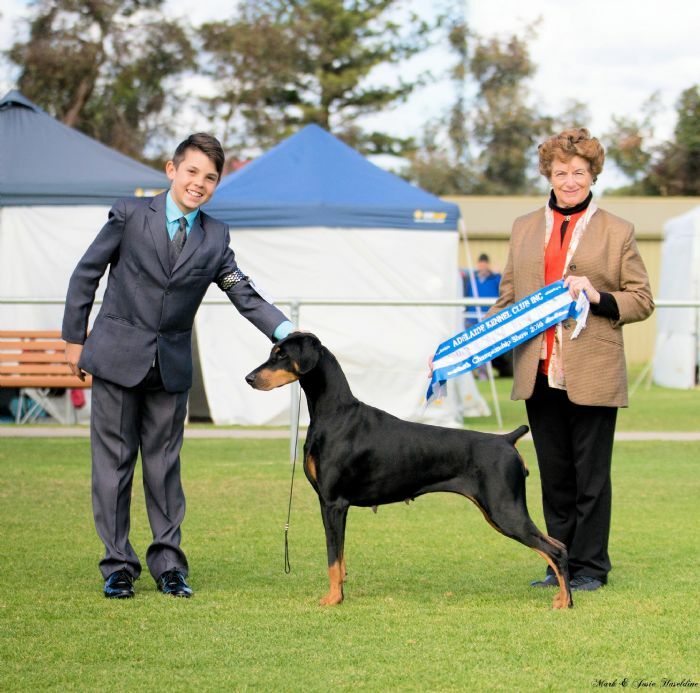 She is a great showman with outstanding temperament and is highly sought after by Juniors for the Junior handler competition.